Paintball players in the Norfolk area have 3 great venues within easy reach. The Thetford venue is located right in the heart of the Norfolk woodland in Thetford Forest. 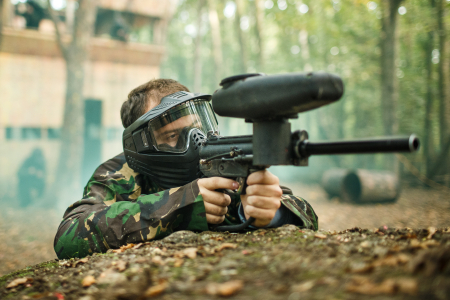 The fantastic Paintball Thetford forest setting is home to the Norfolk paintball park and provides some excellent natural cover and terrain to ensure your paintball event is a memorable day. Alternative venues for players in Norfolk are the Cambridge site and the Kings Lynn paintball centre. Both these sites are well-liked by groups coming from the Norfolk and surrounding areas.